More and more brands are reviewing their customers’ behavior. Did we bring this on ourselves? 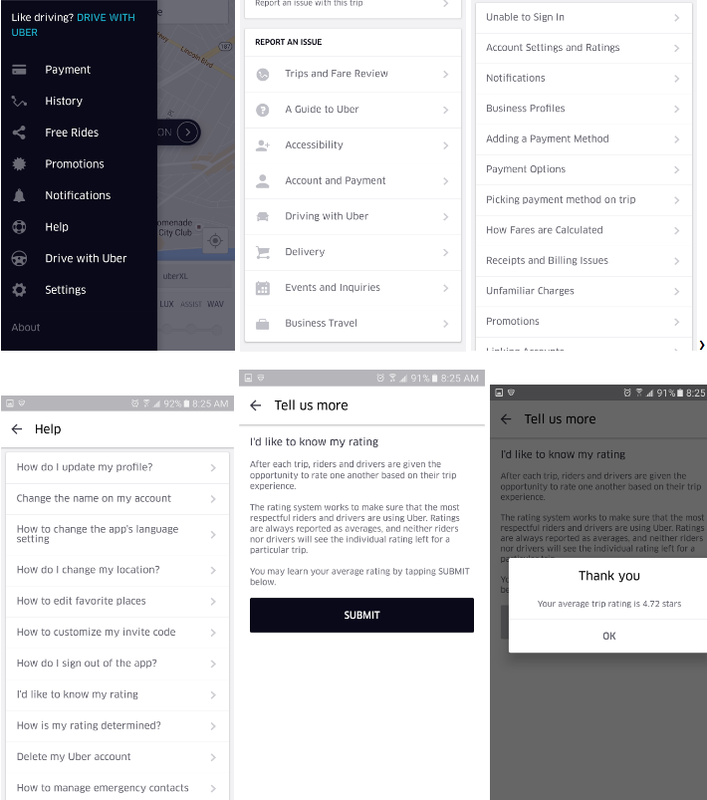 Uber’s mysterious passenger rating system, which allows drivers to rate their customers in the same way you rate your driver, has taken on a sort of mythic quality since its existence first became known. Considering how widely the topic has been covered, the number of regular Uber users who are unaware they’re being rated by their drivers is astounding: Bring up the topic with friends and you’ll be treated to the sight of at least two of them diving for their phones. It looks (somewhat) straightforward written out like that, but when faced with the seemingly endless options on each menu screen, the path is far from obvious. Still, it’s worth figuring out. While a bad rating won’t automatically disqualify you from using the app, a slew of one- or two-star ratings could be enough to leave you stranded while everyone else gets a car with ease. There’s no strict set of rules in place to determine what gets you a bad score, but plenty of seemingly innocuous actions will do the trick. An Uber spokesperson explained that something as simple as asking to be picked up on a busy street or somewhere difficult to park could ding your score. Trying to pile more than four people into a standard UberX will definitely do it, according to the spokesperson, and eating or drinking without the driver’s permission is an invitation for a bad review as well. Basically, anything that causes your driver hassle — or more importantly, costs them money by wasting their time — could lead to your score dropping. In other words, it’s always best to make sure you’re waiting exactly where you put the pin when your driver arrives. As with any review system, the motivations for giving a bad score can vary wildly from driver to driver, so much so that even some drivers question the system’s practicality. It’s similar to the way many regular Yelp users ignore any one-star review (most likely someone blowing off steam after a bad day) or any five-star review (most likely the business owner, her family and her friends). Rating and reviewing have been core parts of the sharing economy since its inception. The system has no doubt proved useful in weeding out some bad apples — businesses and customers — but entrusting such power to the general public comes with an obvious set of problems. As anyone who’s ever been on the internet knows, reason has no place in such things, and the merest unintentional slight has the potential to trigger a wildly disproportionate response. It’s no joke for those who make a living renting out their homes. A five-star rating is vital for people looking to keep their rental pad regularly occupied, and it can be lost to any minor whim. In fact, the capricious nature of online commenting was enough of a concern for HomeAway — the vacation rental giant that owns VRBO and BedAndBreakfast.com — to include built-in safeguards when it launched its own guest-rating system for owners earlier this year. The biggest difference between Uber and Lyft’s rating systems is that, these last-minute warnings aside, there’s no way to discover your rating on Lyft by yourself, and according to Thelen, there are no plans to change this in the future. In fact, neither Uber nor Lyft offered an explanation for why their ratings are so hidden. This, really, is where the system fails to live up to its potential — after all, what good is a rating system so secretive (or so buried in menu options) that those being rated can’t learn from their mistakes? Isn’t the purpose of any review to encourage the subject to try a little harder next time? Whether transparent or not, it’s likely we’ll see more and more companies adopting similar review systems, with the end goal far beyond just weeding out potential troublemakers. Experts predict that within the next five years, all of these reviews will be aggregated and shared between brands, the information analyzed by their stat teams and used to target potential new customers based on their past conduct — each review scoured for patterns of positive behavior as brands try to woo those who fit their ideal customer profile. When companies begin to incentivize this positive customer behavior, we may well start consciously trying to make ourselves more appealing to brands, a reversal of the traditional relationship. The future of commerce is here, and it expects us to behave.